Perched on the edge of a rocky cliff on the stunning island of San Miguel, the converted manor has been beautifully transformed into 9 suites and a villa, featuring breathtaking views of the lush green hills and deep blue sea. 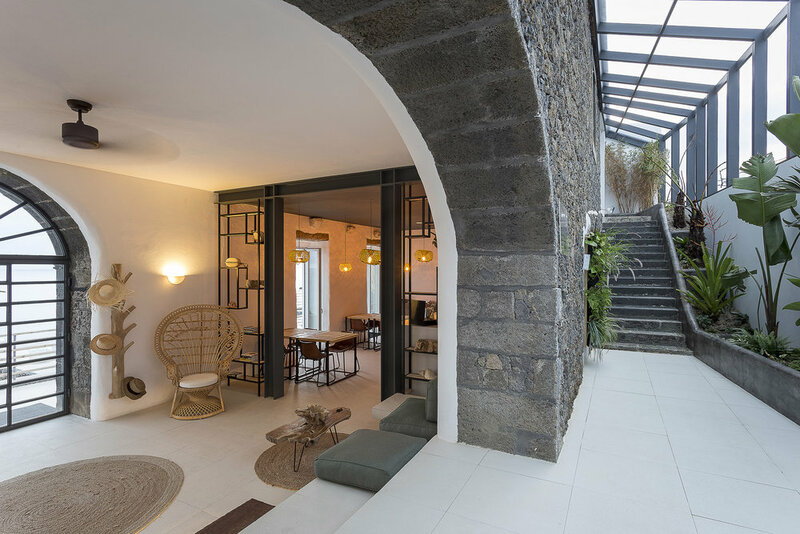 Preserving the Azorean vernacular architecture of the renowned private wine estate, WHITE Boutique Hotel features original basalt stone walls and arches mixed harmoniously with whitewashed walls and natural elements of wood, fibrous cotton and rope, volcanic stone and plants. 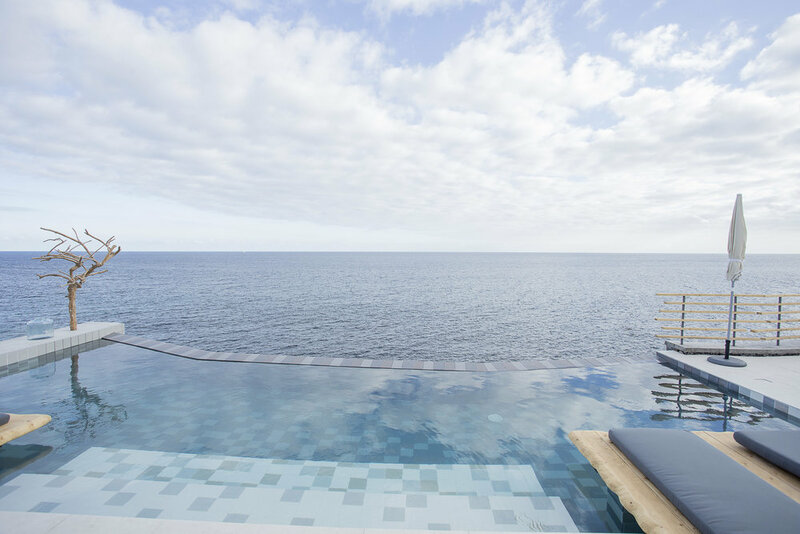 Together, these elements, with the expansive terraces and heated saltwater infinity pool, allows the luxurious hotel to be seamlessly integrated into nature. Surrounded by vineyards and olive groves outside the Sicilian fishing town of Mazara del Vallo is a castle-like villa that dates back to the 17th century. Complete with turrets and towers, this fortified farmhouse was originally built as a monastery, and later became the centre of a local wine business. Now, the ground floor of this family-owned property is an elegantly furnished holiday retreat. The eclectic interiors feature pieces collected during the owners’ extensive travels across the globe: a Chinese-style library, a canary yellow living room with Brazilian ceramics, and a Moroccan-influenced suite all tell stories of a life well-lived. There’s plenty of outside space for peaceful contemplation, too. Take a sunset walk in the pine grove, admire the Mediterranean garden, or read a book under the shade of century-old olive trees. It’s easy to while away afternoons over long, lazy lunches within the walled orangery; there’s also a palm-fringed pool and a private tennis court. And if you manage to drag yourself away from this magical place steeped in history, there’s a plethora of interesting places to see close by: choose from white sand beaches, world-famous Greek temples and perfectly preserved medieval towns. Located in the Tramuntana Mountains near Calvia, this luxurious 4 bedroom villa is the perfect mix of traditional Mallorcan design and stylish Ibiza accents of white built-in furniture, beautiful lighting and a relaxed environment. 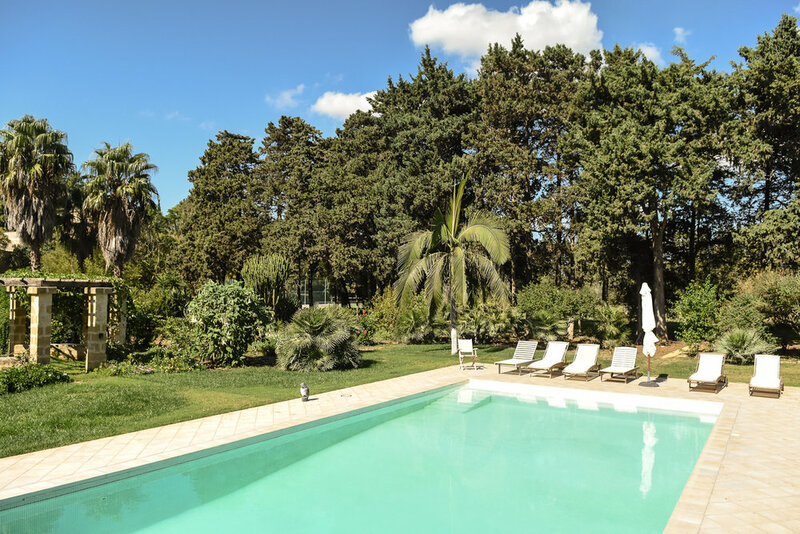 With stunning forested views extending to the sea, Villa Son Font is the ultimate Mediterranean hideaway, where you can slow down, enjoy nature and relax in a calm and comfortable environment with family and friends. Located in the heart of the Cyclades, Skinopi Lodge sits on a bluff on the unspoiled island of Milos overlooking the deep blue Aegean Sea. Designed to blend into the landscape and reflect Cycladic culture, the secluded villas are made primarily of stone, similar to the traditional fishermen houses, adding the feature of floor to ceiling glass windows which highlights the spectacular surrounding environment. 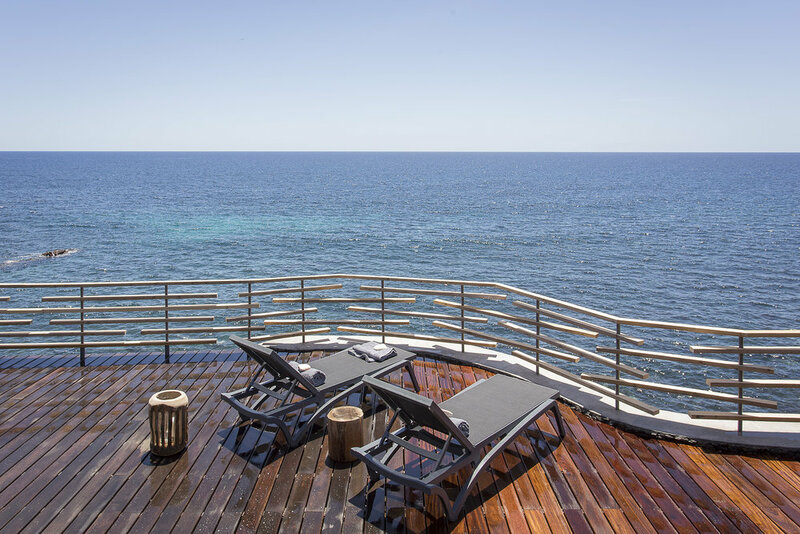 The minimal and airy villas of whitewashed walls and traditional cement floors are set within 9 acres of pristine sea front private land, creating the ultimate retreat with your own private front-row view of the sunset. Set on the edge of the Ria Formosa lagoon, Casa Modesta is a rural hotel with a distinct contemporary Portuguese edge. Owner Carlos Fernandes named the property after his mother, Modesta Maria, who grew up in the original 1940s house built by his grandfather, a local fisherman. Re-imagined by Fernandes’ sister, Vânia, the once-humble home now features nine beautiful rooms with en-suites and a patio and share a common dining room and lounge. The interiors are minimal and unfussy with stunning vaulted brick ceilings and traditional terracotta floor tiles complimented by Canadian cedar furnishings and cork and brass accents. The hotel’s garden provides fresh organic vegetables for the kitchen, while a range of spa treatments are also available, using the natural properties of the local olives, almonds and algae. This rural hideaway is ideal for those that want to slow down and experience authentic culture in the stunning environment of the nature reserve. Click here to see more info. Tucked away on a quiet street in Canggu and surrounded by rice paddies, the thoughtfully designed villa is light and airy, with influences from South America and East Asia. The founders of the iconic swimwear brand, F E L L A, Rosie Iffla & Christine Tang, collaborated with their favorite artists, photographers and homewares to create a luxury, boutique villa that has all the elements of a tropical oasis fused with a modern design that radiates sophistication. With a large indoor/outdoor living area, guests can enjoy day beds and lounge areas throughout the stylish space, which features natural timbers, polished concrete floors and lush, verdant tropical gardens. With 3 large open bedrooms, fully equipped modern kitchen, lounge areas galore, and a large gorgeous pool - what more could you want in a tropical hideaway that is just minutes from renowned beaches and some of the hottest bars and restaurants? Nestled atop the Amalfi Coast in the quaint town of Praiano, Casa Angelina offers a tribute to modern minimalism. Settle into quiet luxury with white-on-white decor paired with eclectic pieces of colorful, contemporary art and stunning views of the Tyrrhenian Sea. Take a moonlight sail, relax poolside under the lemon trees, or enjoy world class cuisine on the rooftop at sunset. Soaking in their peaceful, meditative atmosphere, you'll never want to leave this heavenly coastal abode!